Guest blogging, an effective form of content marketing, is an essential component for any SEO campaign. Writing a guest blog post for multiple high quality websites, or hiring a blogger outreach firm to create or place blog content, can make a big difference in your digital marketing. This article focuses on identifying the various aspects of guest blogging and how it is best used to generate interest within a specific target group and for search engine optimization benefits with Google. We are all aware of Internet blogging, a term that was created to describe online writing about any given topic. The writer can imprint his or her own unique style while presenting engaging content at the same time. If there is such a thing as a resident blogger, then a guest blogger would be a writer that is submitting a blog for publication on another website, other than their own. 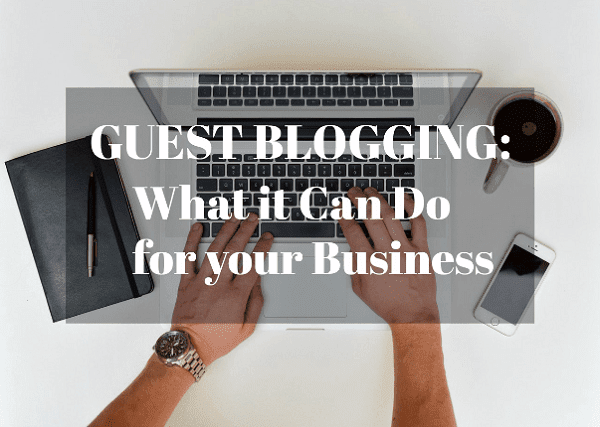 It might sound ordinarily ineffective, yet having guest bloggers allows you to do a number of important things for your blog. By posting guest blogs on another company’s website, you are making a connection between the two organisations, and with this is mind, links can be added, and with a few mentions of the partner’s name, brand, and other important stuff, you are creating a new avenue for potential traffic to your site. If, for example, you were looking for a guest blogger service in the UK, there are online SEO experts who can deliver high quality blog posts on any topic, and by stimulating discussion on various aspects of the industry, you are creating interest. Another strategy for business blogging is creating a site that will make people want to read at their leisure. The key is to make your articles and other forms of content appealing and engaging so that people will want to read them for fun while gaining information at the same time. The best way is to have a guest blogger provide content for your blog. This way, the tone of writing is different, making it fresh from the reader’s eyes. Over time, you can create a stronger connection through this. Consistency is the key in everything in life, content and social media marketing are no exception to this. If you were to talk to an established SEO provider, they would be able to create suitable high quality content and with regular postings, you should see a difference in the number of site visitors. If someone finds your site and begins reading through your post then finds it outdated, they will surely go and find other informative websites. Visitors like businesses who are active, alive, and worthy of their time. If a person liked a blog for any reason, they are likely to return to the site on a number of occasions, looking for new blog posts by the guest blogger. In this way, you will gain a lot of traffic, meaning you will gain a lot of potential clients for your business. Furthermore, your readers are not the only one who likes regular content, Google’s search algorithms like it as well. If you do not like it for your readers, at least do it to improve your site SEO. If you have not heard it before, content is the new king in SEO. We’ve learned that the best SEO strategy starts with content and with regular posting, proper links and keywords, your site will surely rank up. 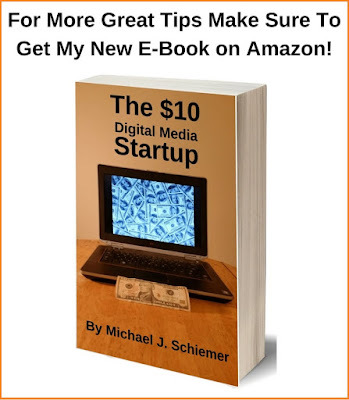 Great content help users and gets shared frequently, which is what Google is looking for. This is often overlooked by the blogger, as they might feel it is unproductive, yet replying to comments can be the onset of a healthy discussion, and dialogue with any site visitor is an opportunity in the making. You establish great communication with your readers, making them come back again. In addition, the comments tell the blogger what the reader thinks about the piece, and if there is any criticism, it should be taken on board, and noted politely with a return comment. The small things matter, even the simplest comments. For those who would like to know more about the benefits of replying to blog comments, there are helpful articles you can read on. Building a healthy collection of backlinks is essential to any SEO campaign, and with guest posting, one has all the opportunity to add relevant links. And with Google currently penalizing sites that it feels are only there for the links, it makes sense to ensure that your backlinks are of the very best quality and the only way to ensure this is to enlist the help of an established SEO company. The links would be placed in the guest blogs in such a way that Google would recognize them as being part of relevant, organic and high quality content. If your industry is rather specialized, then you can hire an established SEO company and they would be able to create in-depth blogs that are written by experts. By using a guest blogger, you are adding a sense of authority to your website, and this will go a long way towards establishing credibility in your chosen industry. Useful information about how to do something, or perhaps a support topic that is often raised can be written in the form of a guest blog, and the partnerships you can form by guest blogging for other companies can really pay dividends at the end of the day. For example, if you want to guest blog on an SEO site, you have to first read what they want or if they have any rules and regulations that you have to follow. This is a good way to know what topics you have to be specific to. In addition, in order to know whether guest blogs will benefit your website, you need to discuss your business with an established SEO provider, and after a thorough website audit, they would make several recommendations on what can be done to improve every aspect of your online presence and if guest blogging is to be a part of that, you can rest assured they have the blog expertise to create the perfect content. Most companies will already have a blog page on their website, as this gives you a platform to discuss different aspects of your product or service, and with regular guest blogs, you are forging a foundation that will stimulate customer interest on every level and will surely reach great results. Guest blogging for business is a crucial aspect of your SEO and content marketing strategy. Actively participate in guest blogging today to take your brand to the next level! Need Help With Guest Blogging? Check Out The Pros At Get Blogged Blogger Outreach Services! I hope you enjoyed this article about guest blogging and what it can do to promote your small business or lean startup. Interested in more articles about guest blogging and SEO?